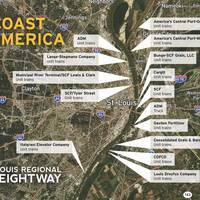 St. Louis Regional Freightway, Port of Plaquemines and St. Louis Regional Ports Sign Agreement to Foster Economic Growth on the Mississippi River. 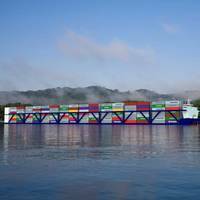 The pact will help support development of a new transportation link for cargo to move along the Mississippi River. The St. Louis Regional Freightway, Plaquemines Port Harbor & Terminal District located in the State of Louisiana and four ports in the St. Understanding (MOU) to establish and grow an alliance to generate new business by promoting international and inland trade routes at strategic locations along the Mississippi River. 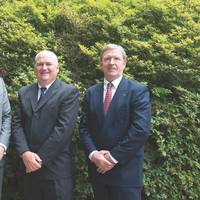 Riverboat Touring: Status Quo or Ready to Grow? 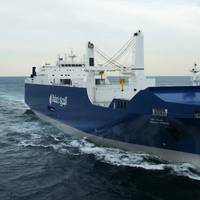 The Port of New Orleans welcomed the return of roll-on, roll-off service with the inaugural call of the Bahri Yanbu, a new state-of-the-art multipurpose vessel, in mid-August at the Nashville Avenue Terminal Complex operated by Ports America. 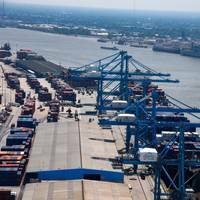 “The return of roll-on/roll-off service to the Port of New Orleans – for the first time since 2005 – helps us meet the diverse needs of the marketplace and increases our global competitiveness,” said Brandy D. Christian, Port of New Orleans President and CEO. 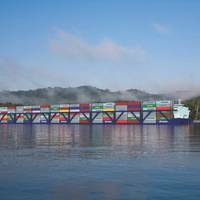 As cargo handling capacity increases along the Mississippi River, this 15-mile section of the Mighty Mississippi is being called the Ag Coast. Located in the heartland of America, one 15-mile section of the Mississippi River in the St. Louis, Missouri, region delivers the highest level of grain barge handling capacity anywhere along the Mighty Mississippi. 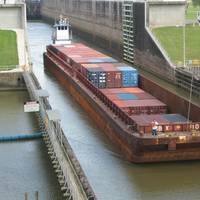 In fact, it is now being called the “Agriculture or Ag Coast” of America in terms of barge transfer facilities for agricultural products. Leveraging 27 worldwide offices, the RMI Registry has been gaining market share year-on-year. Surging tonnage and a solid record for safety has pushed the registry to the head of the class. When the Marshall Islands Registry announced that it had become the world’s second largest – at a whopping 223,262,177 deadweight tons – the registry’s leadership was quick to emphasize quality as the leading reason. International Registries (IRI) President Bill Gallagher didn’t discount the importance of the deadweight milestone, but quickly moved the conversation towards why it had happened. 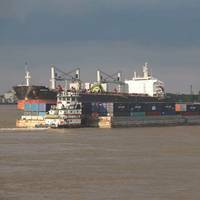 Plaquemines and American Patriot Holdings plan new container port-vessel system. 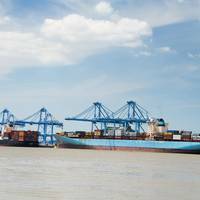 Plans are underway for a new 4,200-acre intermodal container terminal within the Port of Plaquemines Harbor and Terminal District. The project, a partnership (Exclusivity Agreement) between the Port and American Patriot Holdings (APH) calls for the development of a logistics system for “vessel operations comprised of deep-water docking at the Pointe Celeste Container Terminal and multiple upriver terminals.” That’s the Mississippi River, of course, and initial upriver terminals could be sited in Memphis and St.
As the Central Ohio River Business Association (CORBA) pushes commerce on the Ohio River, stakeholders are beginning to take notice. 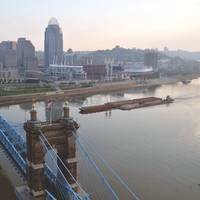 On January 19, in an office tower overlooking the Ohio River, Eric Thomas convened the first meeting of 2017 for a business group working in the 13th largest port in the U.S.: the Ports of Cincinnati and Northern Kentucky (PCNK). Thomas serves as the Executive Director of CORBA – the Central Ohio River Business Association. PCNK’s high rank is likely a surprise to many. 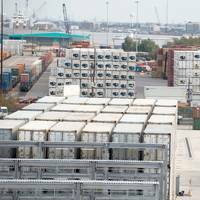 The Port of New Orleans announced a new opportunity for shippers looking to transport perishable cargo from South America. Port NOLA received approval by the U.S. Department of Agriculture for inclusion in the Southeast U.S. In-Transit Cold Treatment Pilot Program. Participation in the Animal and Plant Health Inspection Services (APHIS) pilot program means select time-sensitive products can be treated to meet customs compliance in-transit rather than after it arrives to the U.S. – resulting in shorter transit times and increased efficiency for shippers. 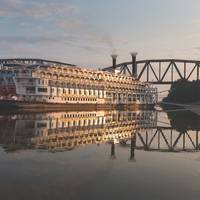 The American Queen Steamboat Company, owner and operator of the American Queen and American Empress, will launch service on its new American Duchess when it sets sail from New Orleans on Aug. 14, 2017, following its christening a day earlier. 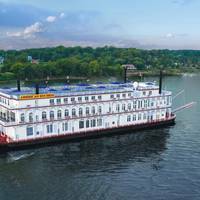 The all-suite, 166-guest American Duchess will be the first purpose-built boutique paddle wheeler offering guests the largest suites on the Mississippi River. The American Duchess follows in the pedigree of the company’s namesake American Queen and will offer overnight stays from New Orleans. Royal Caribbean International announced it will return to New Orleans with a seasonal home-based cruise ship in late 2018. 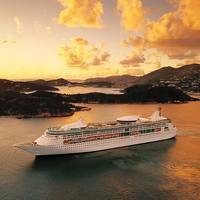 The 915-foot Vision of the Seas will sail seven-night itineraries to destinations across the Bahamas and Yucatan Peninsula from the Port of New Orleans’ Julia Street Cruise Terminal. The ship will sail on Saturdays. “The Port of New Orleans is thrilled to welcome back Royal Caribbean. We look forward to working productively together for many years to come,” said Brandy Christian, Port President and CEO. Bayou La Batre, Ala. shipbuilder Horizon Shipbuilding, Inc. said it has delivered the M/V Victoria Pasentine, a 120’ towboat with a retractable pilot house, to its home port of New Orleans. The vessel, the 20th built by Horizon for Florida Marine Transporters (FMT) during their nine years of doing business together, was completed and delivered on April 11, 2017. The steel construction Victoria Pasentine is 120’-0” LOA x 35’0” x 11’-6”, weighs in at 387 gross tons, and has an ABS Load Line Certificate to operate in the waters between Chicago to Burns Harbor for fair weather voyages. With the house fully retracted, the max air draft is 17’-8”. It is also outfitted for service in certain areas restricted to overhead clearances and draft limitation. The longest and one of the most premium cruise ships ever to dock in New Orleans will sail into the Port’s Julia Street Cruise Terminal Sunday, Feb. 26, just in time for the finale of Mardi Gras festivities. The Celebrity Equinox, a 1,041-foot cruise ship christened in 2009, will make its first visit to the Port of New Orleans, remaining in Port through Feb. 28 – Mardi Gras Day. The ship’s length is equal to 3.47 football fields. “The Port is thrilled to welcome Celebrity Cruises back to New Orleans for an extended port call,” said Brandy Christian, Port President and CEO. 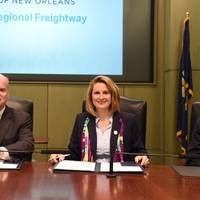 The Board of Commissioners of the Port of New Orleans and the St. Louis Regional Freightway today entered into a Memorandum of Understanding (MOU) to exchange market and operational information with the goal of growing trade and building upon existing and new business relationships between the two regions and critical ports. The agreement also calls for joint marketing efforts to meet those objectives. The MOU is the culmination of discussions begun during a September 2016 visit to St. Louis by top officials for the Port of New Orleans.